The 2016 softball team was recognized with an Easton/National Fast Pitch Coaches Association (NFCA) All-Academic Team award. Nine individuals from the 2016 squad were previously recognized as Easton/NFCA All-America Scholar Athletes. This is the fourth straight year the team has earned the award. The Gorloks were one of only 92 NCAA III squads receiving the NFCA award for 2016, with a 3.32 team GPA. Webster had the 19th highest GPA in the NCAA III in 2015 at 3.48. Five teams from the St. Louis Intercollegiate Athletic Conference received the award, out of the 92 schools that qualified for the award. 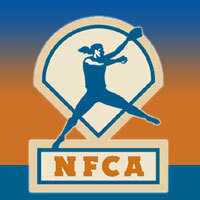 There are approximately 400 softball programs in the NCAA III. To be recognized by Easton/NFCA as an All-America Scholar Athlete, players must have attained a 3.5 or higher GPA (on a 4.0 scale) for the school year in which they played.